I’m a snacker, always have been and always will be. My snacking habits are particularly bad when I’m working and there’s a whole bag of Doritos or M&M’s to nibble on. With our gym efforts, Prudence and I decided to make our own trail mix to snack on instead of cheese supreme corn chips, and let me tell you, it’s amazing. 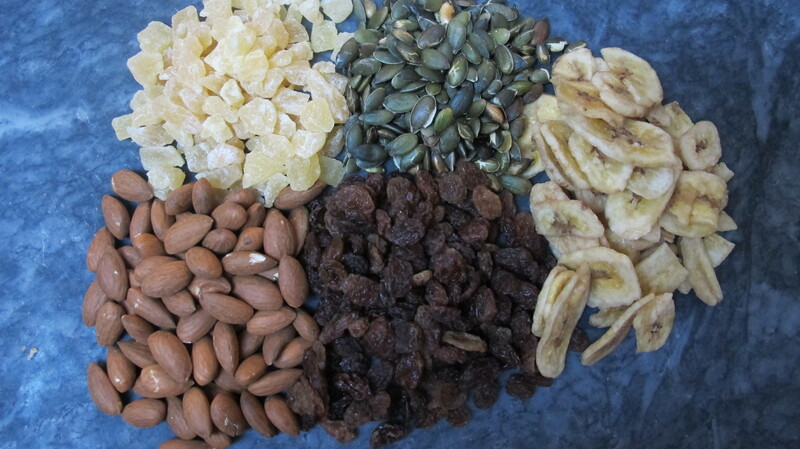 I know you can buy pre-made trail mix, but there’s always something in them that I don’t like or the almonds are stale. Say no to stale almonds by making your own. It’s super easy too. 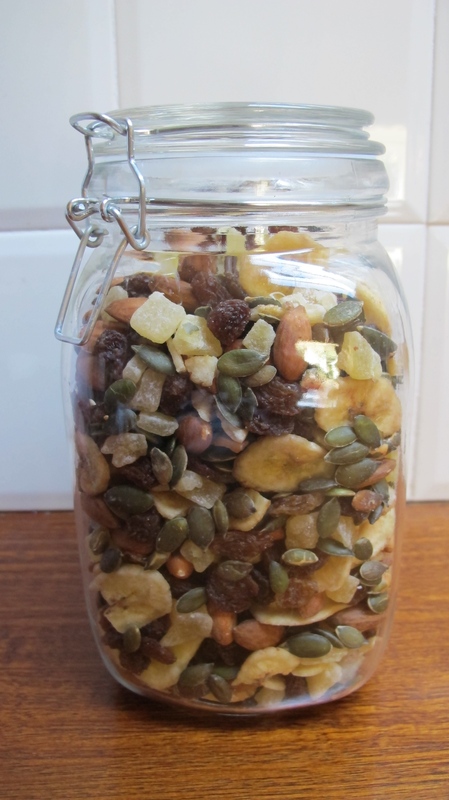 Last week’s trail mix lasted 3 days it’s so tasty. Here’s what we put in our’s, but you can obviously tailor it to what you like. I tried convincing Prudence to put dark chocolate chips in it too, but she wouldn’t let me. Sigh. 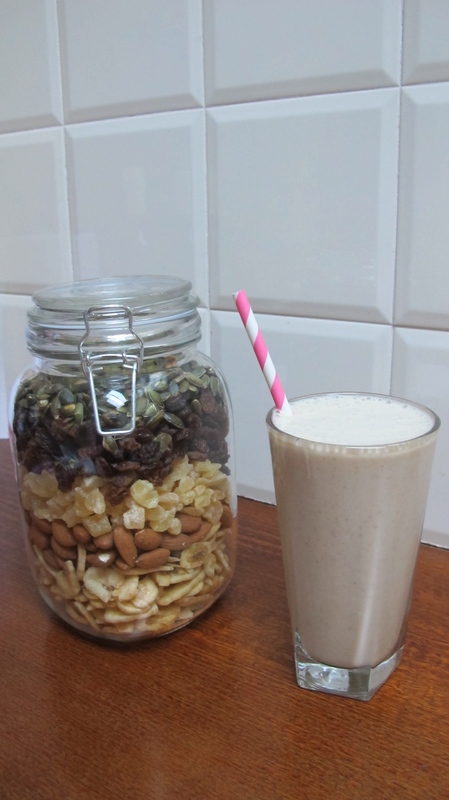 This mix is the perfect snack along with a banana and chia smoothie (banana, white chia seeds, yoghurt, honey and lite milk). Filling and delicious. I’ve been frustrated with rancid nuts in recent years from Walgreens, then even from Whole Foods. Thanks for your words: “say no to stale almonds”! I’m hoping to find a place to report stale nuts so I don’t continue wasting money on spoiled food. I was getting delicious cheap nuts at walgreens for a long time, then got burned again and again. They would put them on sale but they should be composted! I really love nuts but hate hate hate repeatedly buying rancid nuts! Maybe I’m a bit more picky than most but damnit, this is important in my world.